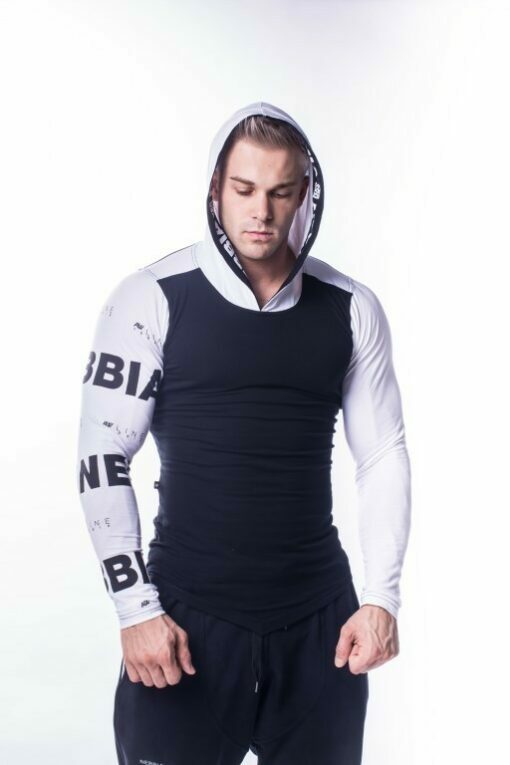 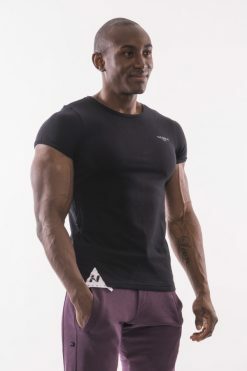 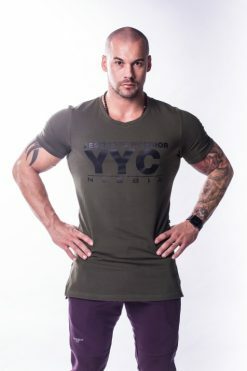 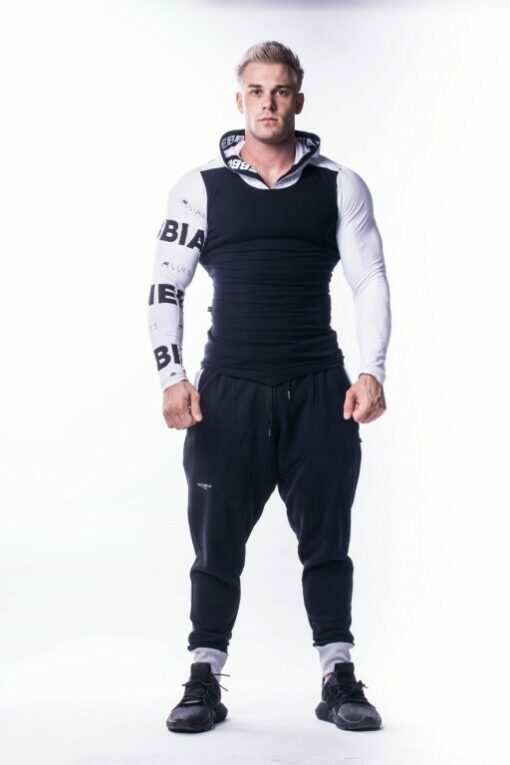 The sweatshirt from a very fine material with modern elongated cut and a designer logo print on the right sleeve is a piece in which you will feel great during training and you will definitely stand out from the crowd! 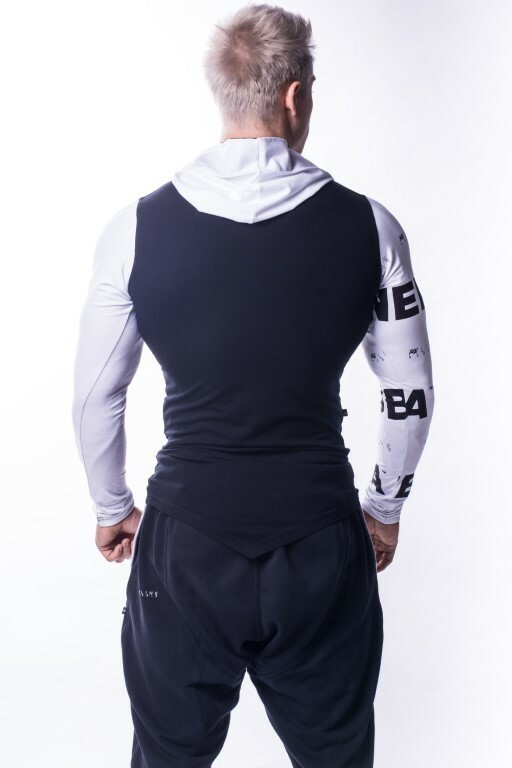 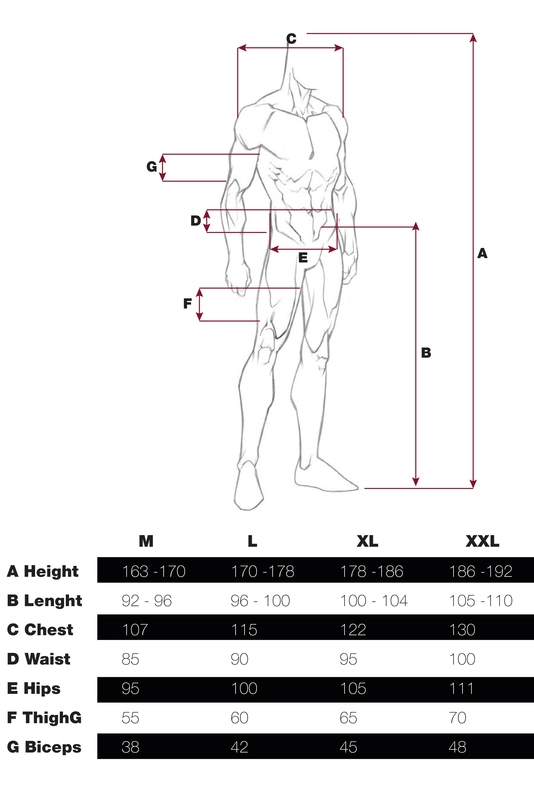 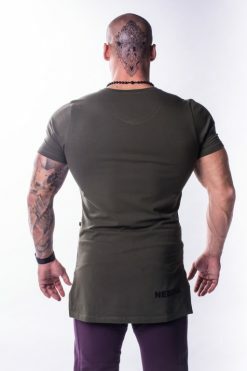 Slim fit cut perfectly highlights your muscles on your back and shoulders. Interesting details such as front and back cut into “V”, sleeves and hoodie in contrasting colors or design logo print only on the right sleeve make this hoodie a special model of the new AW Line collection. 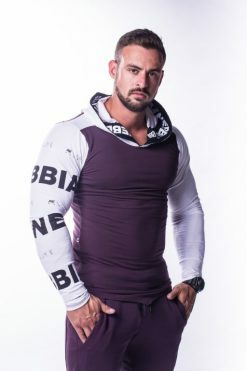 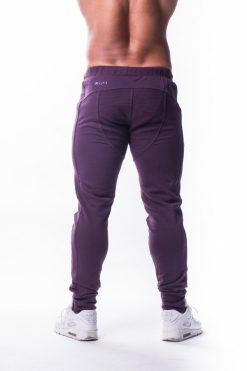 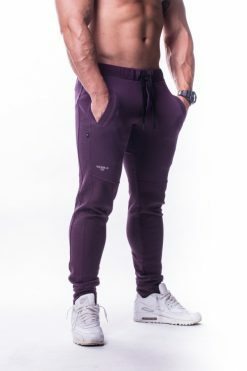 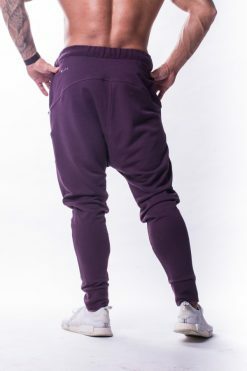 Be stylish already on your way to the gym! 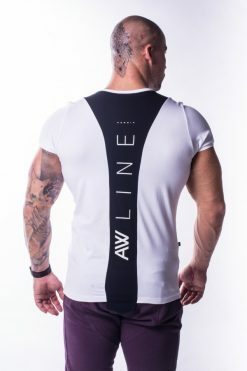 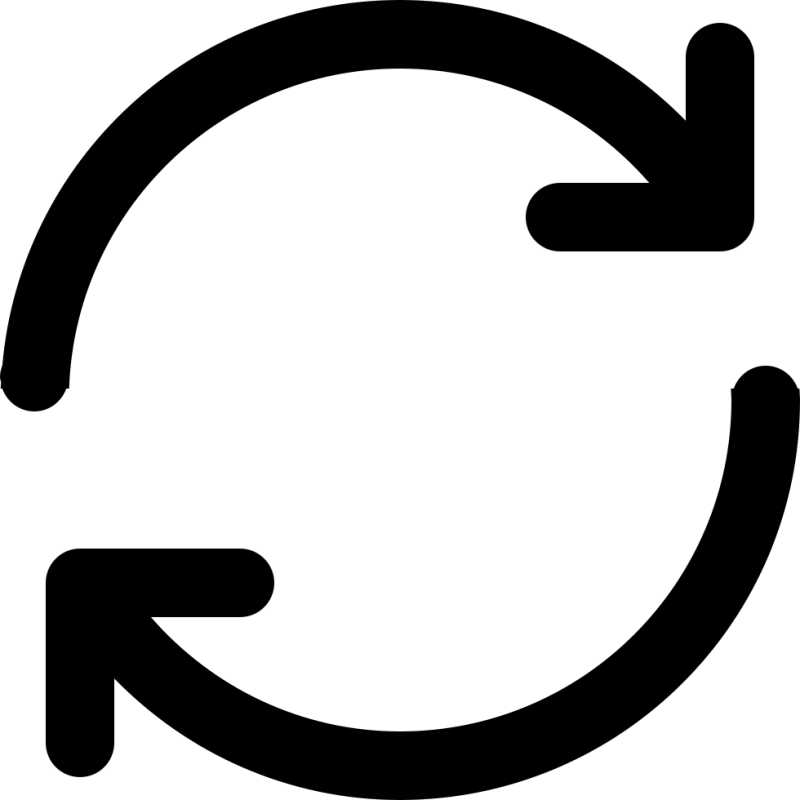 The new AW Line collection is mainly characterized by its sophisticated design and perfect materials. 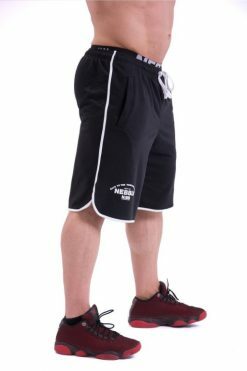 This model thanks its logo print and two contrasting color combinations – modern burgundy with white and classic black&white – is easy to combine. 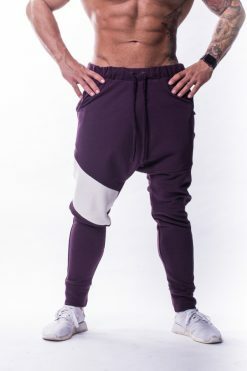 For example with AW joggers or drop crotch sweatpants!